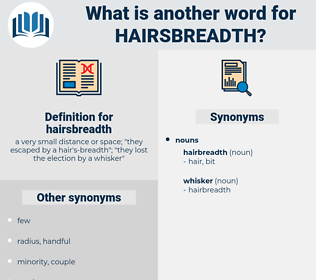 What is another word for hairsbreadth? 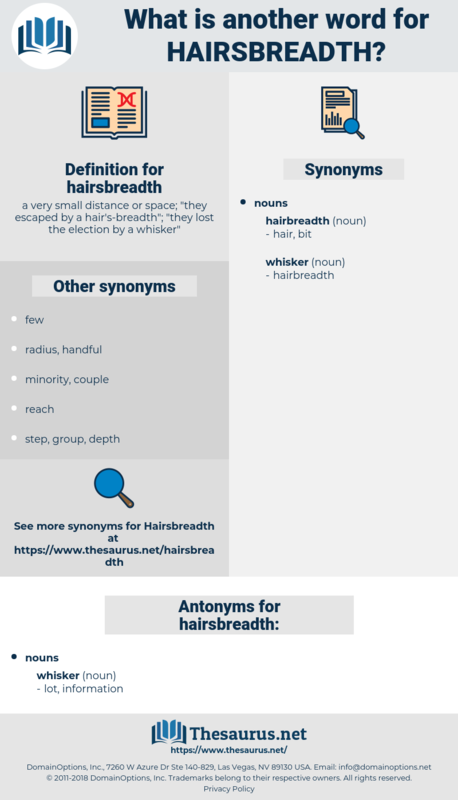 a very small distance or space; " they escaped by a hair's- breadth"; " they lost the election by a whisker"
He carefully turned an unconnected control knob a hairsbreadth with utmost deliberation and precision. It was just one of those exciting moments when you miss a thing just by a hairsbreadth, as it were.